Recently, PC Magazine did a round-up of “The Best Free Software of 2012.” After trying several of these, Joy’s computer wouldn’t start. We finally had to abandon their “Best” list. The take-home lesson: Beware of freebies unless they’re from companies you’ve heard of or have been recommended by those you trust. While the Windows operating system on Joy’s computer is sputtering and won’t start, she is using the Linux operating system to rescue today’s column. Linux is a free, lightning-fast rival to Windows and Mac. It looks a lot like Windows and comes with lots of free programs, including a word processor similar to Microsoft Word. It also has the Firefox web browser (excellent) and other familiar stuff. You can download it from Ubuntu.com and install it so when your computer is booting up, you have a choice of systems. Oink: that choice saved our bacon so to speak. Here are a few freebies we like and have worked well for us. • Microsoft’s “Windows Live Essentials” has a blogging tool called “Writer,” along with a lot of other good stuff, particularly “Windows Messenger.” Messenger is an oldie but goodie. We hadn’t used it in years and didn’t realize it’s now integrated with Facebook. You get a pop-up every time a friend logs into Facebook Chat, and since it displays posts differently from Facebook’s usual layout, we found a lot of things we wouldn’t have seen otherwise. • ScreenHunter, from Wisdom-Soft.com is an excellent tool for capturing text and pictures from your screen. If you want to go further and capture video, try CaptureWizPro from pixelmetrics.com. Bob uses the “lite” $20 version every day and Joy finds the Pro version handy when she’s watching a demo on her screen. Though the demonstration is happening in real time, she can capture it and watch it again later. CaptureWiz is easy and quick – Bob’s number one choice. 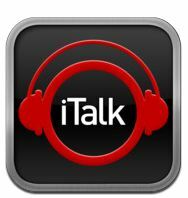 • iTalk Recorder for the iPod Touch, iPhone or iPad from Griffin Technology. It’s a simple voice recorder, nice for spur of the moment ideas you don’t feel like writing down. If you have the latest iPhone or Android phone however, you can use its built-in functions for dictation. Tap the microphone key when a keyboard pops up and it will translate your spoken words into text.